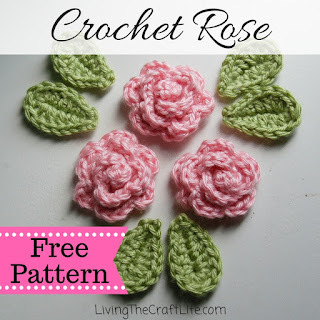 I have looked for and read many different rose patterns available across the internet... and they were either too big (like 3 rows!) or too small (rose bud, instead of blooming). I created this pattern to satisfy my need for a petite rose that is EASY and QUICK to work up. Enjoy!! Leaving a long tail, Ch 26. Row 1: 3 dc in 3rd ch from hk. *sc in next ch, 4 dc in next ch. 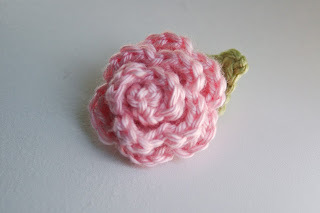 Repeat across, ending the row with a sl st. Finishing : Roll the rose and sew it together through the bottom!